Place the stock in a sauce pan with ½ the ginger ( ½ galangal if you are using it), ½ the chilli including seeds, and the storks of the coriander after you have picked off leaves. Bring stock to boil and add soy sauce then allow to simmer for 10 min this will allow flavours to infuse. Once the stock has infused to produce a full flavoured broth, sieve and remove all the ingredients. Place the broth back into the sauce pan and discarding everything else. Take the rest of the chilli and cut into very fine strips add this to broth together with the glace stem ginger and the oyster mushrooms which you can tear into smaller pieces if they are too big. Add the rest of the finely grated ginger (galanga if you are using it) then bring broth to boil then turn down to simmer. Place noodles in a bowl and cover with boiling water then leave to for about 10 min to stand until they soften stirring from time to time. 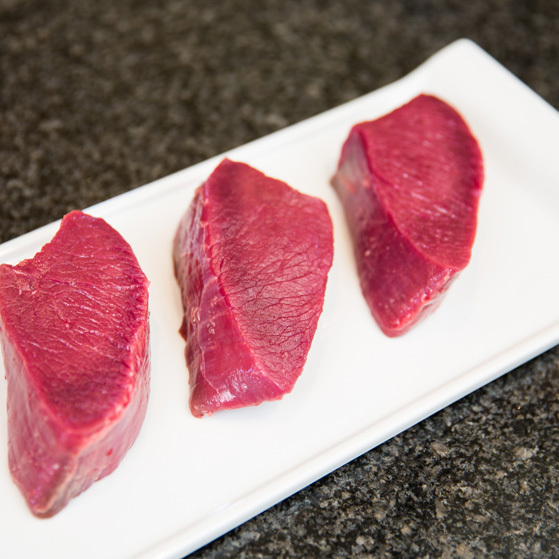 Brush the venison steak with oil and season with black pepper and salt then in a very hot pan or on a ribbed griddle plate sear the steak on each side to the degree of cooking you like. 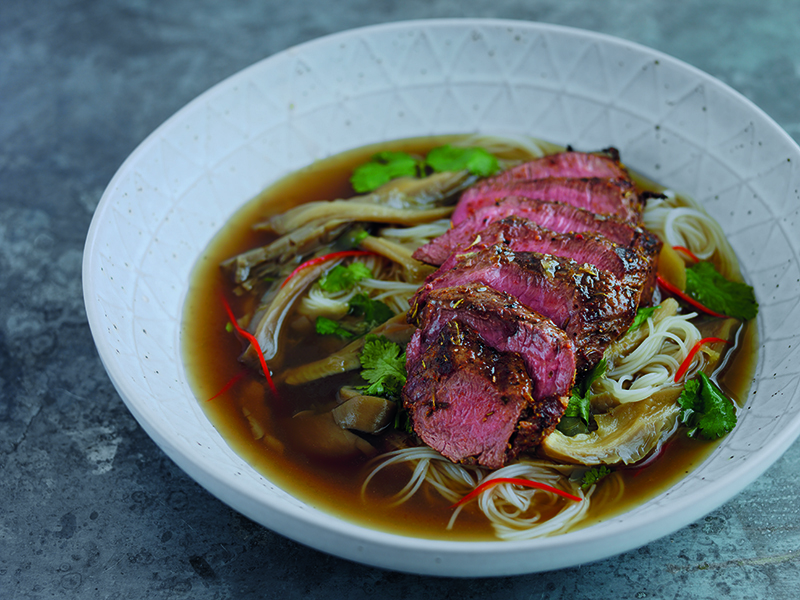 Remove the steaks from the pan once cooked and allow to rest for 2-3 min meanwhile take the broth and add the coriander leaves then season to taste.